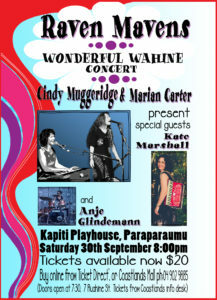 Raven Mavens - Kapiti Playhouse Inc.
Raven Mavens, Cindy Muggeridge and Marian Carter are two slinky songbirds. 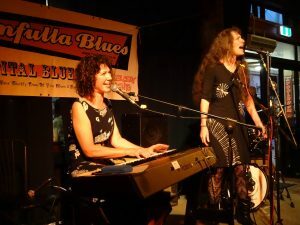 They have a love of the evergreen, bright and breezy, jazz and bluesy songs that take you places and put a twinkle in your eye, With Cindy rocking the boogie and blues on piano and Marian on soulful clarinet, these two fun-loving and versatile performers bring a sassy, sizzling, happy-go-lucky slant to their music. 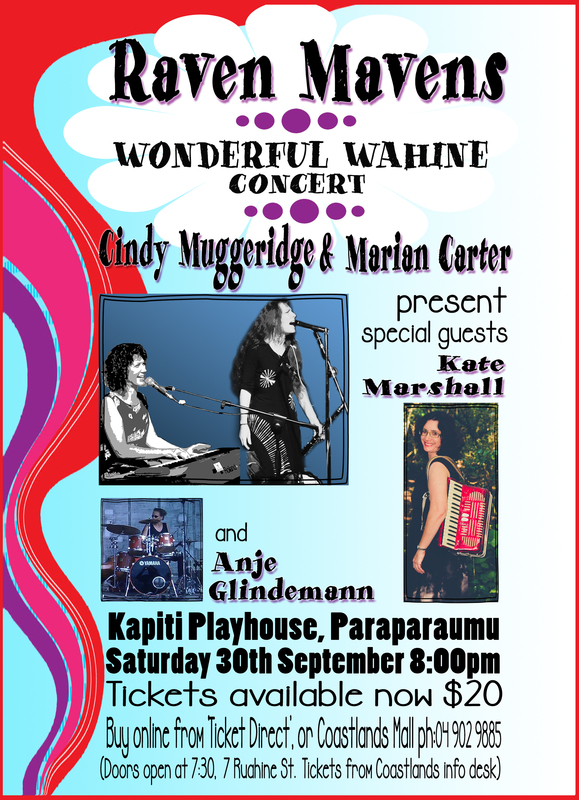 When invited to play at the Kapiti Playhouse, Marian and Cindy decided to make it a special night with an all female lineup by adding two of their favourite musicians. Anje Glindemann on drums, has been playing with the Raven Mavens whenever the gig calls for toe tapping goodness. Her style alternates, sometimes light, sometimes rock’n, but always with a solid feel. Anje has the philosophy of playing the ‘song’ and not the ‘drums’ (while actually playing the drums). She has her own band The Salty Hearts, sits in with loads of others including Andrew London and loves to play with the Raven Mavens wherever possible. Expect this combination of talented women to dish up a variety of music and styles, from great divas like Bessie Smith and Nina Simone, to their own, original songs. The mood will range from sensitive to burlesque, with a bit of story telling and hilarity on the side. There is, of course, a story and a song behind the wonderful wahine theme, but you will need to come to the Playhouse on Saturday 30 September to find out what it is. Tickets are on sale from 11 September, for this one-off Kapiti Playhouse special.